What say we start this off right by doing what we’ve all done to get past a line up, not pay a cover charge or were a little under-age; and that’s sneak in the back door. My editor, the lovely Lynn, who also happens to be our sites advice columnist and life coach will definitely have something to say about this! However, as “mixologists”; we bartenders have been known to bend the rules a little, and I ain’t about to stop now. I can hear her now, and believe me I’ve been called a few choice names in the past, and picked up a few nicknames along the way. I will explain at a later date some of my favorite. But for now I will make it short. My drink of choice is rye and sprite, with a wedge of lime. 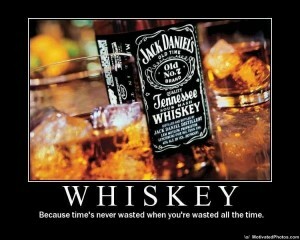 For all who don’t know, that would be Canadian Whisky. Not Irish, Scotch, Sour Mash or Bourbon. The best being Canadian Club 100 proof or Crown Royal, the first not even sold in Canada. Go figure. If I had to choose a beer to drink it would have to be Carlsberg Red. Pina Colada’s and Tequila on the beach in Mexico and Martini’s at Dehlilahs in Vancouver. The list is endless. Kinda makes me sound like I have a wee problem, but different drinks are needed for varying circumstances. We bartenders/servers just tend to party a little harder than the rest. Hot tub parties, pool parties, cottage parties, pool parties at the cottage. Thanks Mort, those ten years at the cottage are unforgettable. Doing Tequila body shots to gain entrance to the party and drinking from a Mister Turtle Pool were priceless. One word of advice, if you need to drink something sweet and colorful, leave out the Blue Curacao. I drank a whole bottle one night in a punch at the cottage/pool party and crapped blue for a week. Until next time, its last call. Lynn the Editor here…and yes, I definitely have something to say! Despite the fact that he had STRICT instructions to send me ALL posts for editing BEFORE posting them, he obviously “snuck in the back door”, bent the rules lol and posted his first blog as a “comment” to circumvent my editing process…sigh…I have moved it to the proper place to make it easier for his followers, but seriously…this is going to be an interesting ride!